Explosive growth is an enviable position for any organization. While beneficial to investors and shareholders, it presents challenges to existing processes, infrastructure and support. This was indeed the case for Sterling National Bank, a diversified financial services firm with $6.7 billion in assets based in the New York City metropolitan area. Sterling National Bank and its parent, Sterling Bancorp (NYSE: STL), were formed when Provident New York Bancorp acquired Sterling Bancorp in 2013. The pre-merger entities had been expanding rapidly, but the merger accelerated growth and the bank doubled in size overnight. Thank you for your interest in our resources and insights. 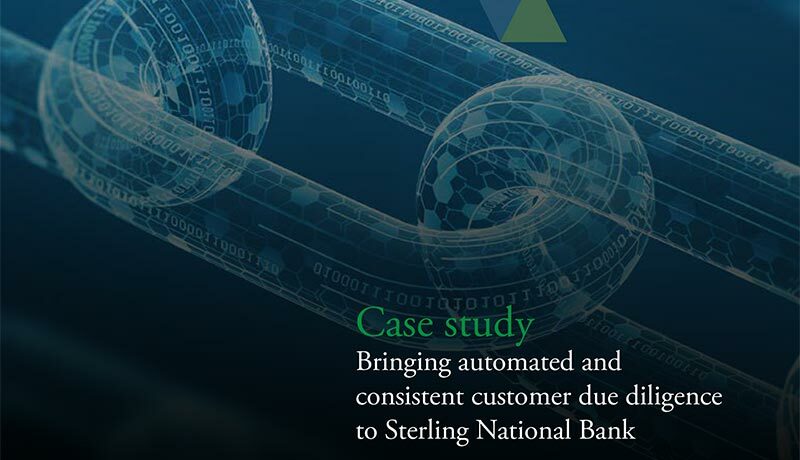 You can access “Bringing automated and consistent customer due diligence to Sterling National Bank Case Study” by clicking the link below.